Norfolk Street scene. Photo by Rick Macomber. Victim identified as Jorge Baez, 27. 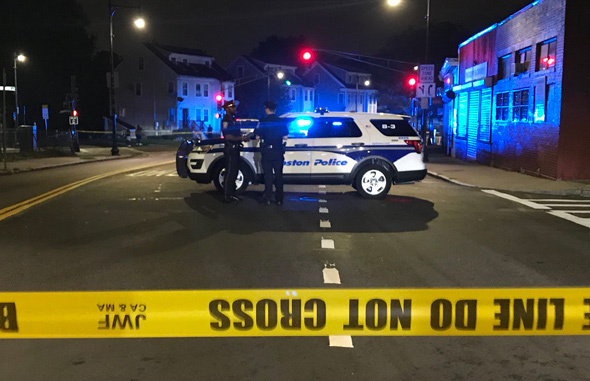 Boston Police report two men were shot around 11 p.m. on Wednesday outside 138 Norfolk St., near Woodrow Avenue. One victim, a man in his mid-20s, was declared dead at the scene; the other was taken to a local hospital with serious injuries. Rick Macomber reports both men were shot in the chest. This is Boston's 31st murder in 2018.